The University of Victoria campus is full of beautiful plants — a sight to behold in every season. However, hurried trips from MacLaurin to the bus loop don’t leave much room for careful observation. 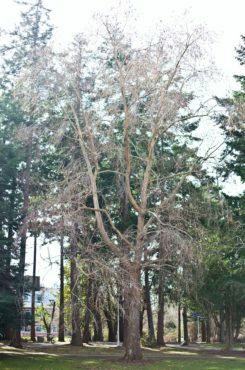 There are magnificent trees all over the campus — including 40 that were deemed noteworthy enough to include in UVic’s Centre for Forest Biology’s tree walk tour. One that stands out amongst the Dawn Redwoods and the Ginkgos is the Hippocrates tree. Hippocrates, an ancient physician, supposedly taught lectures under a big Oriental Plane tree on the island of Kos in Greece. And it turns out UVic is home to one of its descendants. 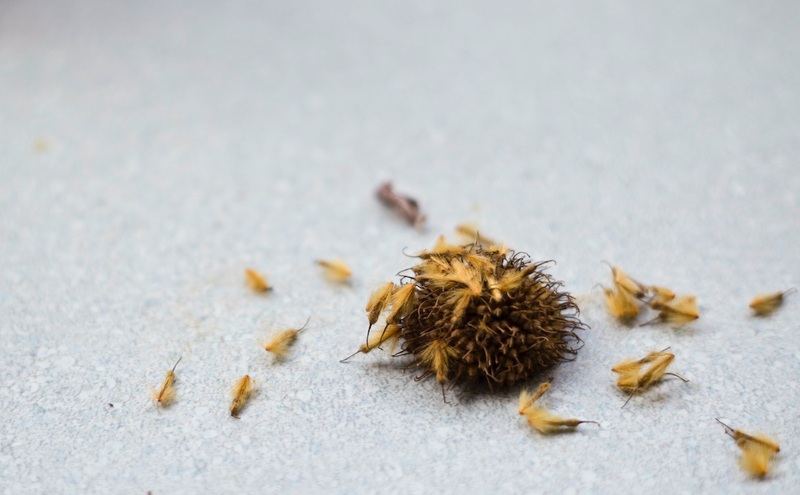 According to legend, neurophysiologist and physician William Gibson went to a conference on Kos and came back with some seeds from the Hippocrates tree, says Gregory Beaulieu, a professor in the UVic Biology Department. The large Oriental Plane tree that overlooks the quad near the Cunningham building was planted in May 1970 to celebrate the 75th anniversary of the Victoria Medical Society. The untrue part of the tale is that the seeds Gibson brought back to Canada were from the original tree under which Hippocrates taught, says Beaulieu. The tree that Gibson visited on Kos is not old enough to have been the tree where Hippocrates lectured, but it could be a descendant of the original tree, he explains. It’s not uncommon for important figures to be associated with trees. Even the Buddha is said to have found enlightenment under the Bodhi tree in India, says Beaulieu. The professionalism and high ethical standards that Hippocrates and his followers — the Hippocratics — preached endures in modern medicine. Hippocrates trees grown from cuttings or seeds are fairly common, he says. There are supposed descendants of the original tree all over the world. Beaulieu teaches a course called History of Biology, which he inherited from Robert Reid — a physiologist in the Biology department for many years. Beaulieu teaches a unit about medicine in the ancient world which includes a section on Hippocrates, but he hadn’t heard about UVic’s Hippocrates tree until a student mentioned it. It’s not uncommon for people to become oblivious to the details of the places they frequent. “A tree is something you appreciate without necessarily noticing or individualizing,” he says. For Beaulieu, it doesn’t matter that UVic’s Hippocrates tree probably didn’t come straight from the original. “I think it’s wonderful,” he says. So, next time you’re hurrying across campus, take a moment to look up. Many of the trees have plaques or information tags hanging from their branches. Or maybe you’d like to cultivate your own Hippocrates tree? Luckily, there are seeds all around the base of the tree right now and anyone can take some, says Beaulieu.